Liz is a litigator who focuses primarily on real estate litigation and health care claims. She represents clients in a variety of disputes including business disputes, malpractice claims, landlord-tenant litigation and administrative law matters. She focuses her real estate litigation practice primarily on landlord and tenant disputes involving lease enforcement and collection of rents. She represents both commercial and residential landlords and tenants, and has successfully litigated cases through summary judgment, trial and appeal, including post-judgment collection and enforcement. She has also represented clients in construction disputes, condemnation cases and boundary disputes, among others. Liz regularly represents health care clients in both civil and administrative litigation, including at the Court of Appeals, in a variety of contexts, including medical malpractice defense, peer review, medical staff matters, Certificate of Need and other regulatory and business disputes. 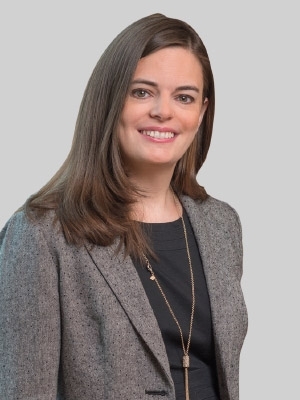 Liz was a partner at Smith Moore Leatherwood LLP, which merged with Fox Rothschild in 2018. She was also an associate at a regional law firm in Raleigh. Liz is active in the community, serving as Secretary of the board of directors for Artsplosure, Raleigh's nonprofit art and cultural events production studio. She is a former member of the executive leadership team of the American Heart Association's Triangle Go Red for Women and a member of its Circle of Red. Liz is also the former President of the Eastern District of North Carolina Federal Bar Association and is still a member of its Executive Board. She is also active in Triangle CREW.